ExcelNode Review 2019: Is ExcelNode a Good Hosting? ExcelNode's biggest selling point is their robust bandwidth. But while this host is great for higher traffic sites, some cost savings are offset by having to pay for your domain and SSL certificates. ExcelNode has been offering shared hosting and VPS services around the world since 2014. 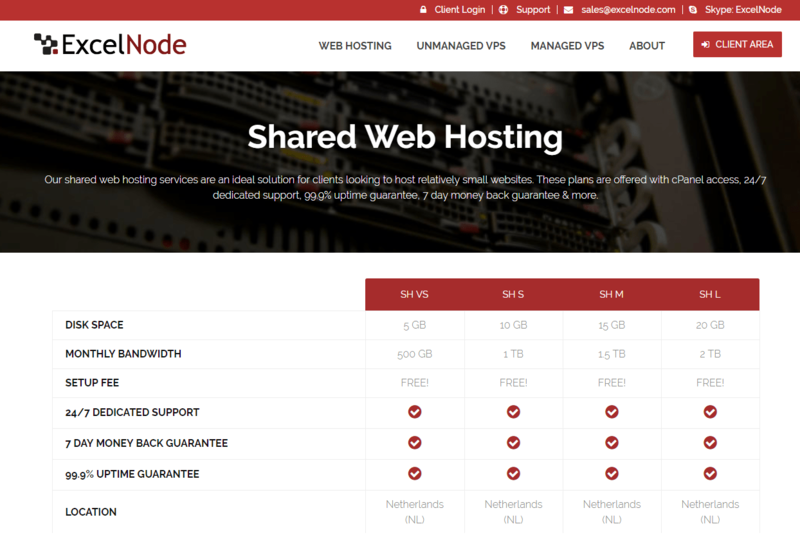 Their shared hosting plans offer robust bandwidth and features that are suitable for personal and some smaller business websites. Support is a bit substandard, and they also don’t provide a domain or SSL certificate for free. If you anticipate a lot of traffic to your site, then these plans with at least 500GB of bandwidth are great. The Cloudflare CDN is a nice feature you don’t get with most providers, but I’d like to see weekly backups and support for Python and other developer tools. It’s good news that you get the Softaculous auto-installer that allows you to install WordPress and hundreds of other apps. They don’t offer a website builder, but you can use cPanel to install your website. If you need to host a single domain, the VS plan is perfectly adequate, but for just a little more money you can get double the bandwidth and storage on the S plan. Overall, I am very impressed with the storage and bandwidth on these plans, because most providers at the same price points offer less storage and a lot less bandwidth. So if you have a site with high traffic or storage needs, this provider is definitely worth checking out. And if you’re not so sure about them, you can take advantage of the 7-day money back guarantee. Support is a bit below average since they only offer ticket support and live chat through Skype, and the provided email address seems to be only for sales. If you’d like to support yourself instead, you will find the knowledge base to be very basic. For anyone wanting a lot of bandwidth without paying the price for business-grade hosting, ExcelNode is a good option. Even after paying for SSL certificates and your domain, you’ll still save money by not being forced to take a top-tier plan with another provider. Wondering how ExcelNode stacks up against other Web Hosting companies? Enter any other Web Hosting company and we will give you a side-by-side comparison.